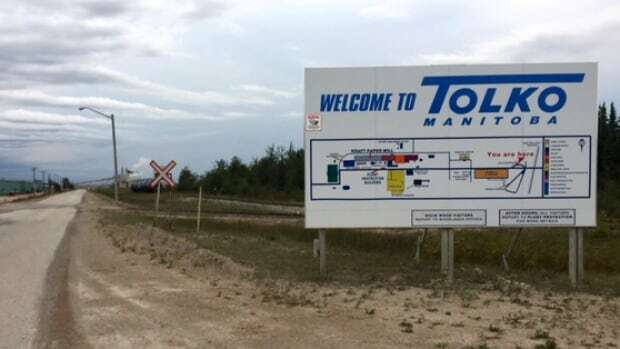 While Tolko Industries has not rejected The Pas Mayor Jim Scott’s offer of a municipal and school tax holiday, the company wants to know if any potential buyer would get the same deal. “I’m not sure how to read that,” Scott said Thursday afternoon. “That’s not what we were after.” Scott said he made the offer of a three-year holiday from municipal and school taxes to try to persuade Tolko to keep operating the mill and retain its 300-plus jobs for three years beyond the scheduled December closing while the town searches for another entity to take it over. “While they didn’t reject it, (they said) if they found someone to buy it, could they make that same offer to a new buyer?” Scott said. The offer of $2.5 million in tax breaks to Tolko Industries has not persuaded the B.C. – based company to keep its paper mill in The Pas. The Pas recently offered Tolko over $840,000 in tax relief in each of the next three years. The Pas Mayor Jim Scott says he heard back from the company Thursday and is disappointed with their reaction. Tolko still intends to close the facility in December, he said. The company announced in August it was shutting down operations and laying off more than 300 workers.But there is a small glimmer of hope. Scott says the company has fielded some preliminary interest over the last week in purchasing the mill. Are we shipping our jobs overseas? Many say that the controversial practice of exporting logs without processing them provides the lowest possible value for B.C. communities and starves the mills and the livelihoods that rely on timber. Others counter that log exports are essential to the industry – that domestic sawmills are unwilling to pay the actual cost of harvesting the logs, and even at the discounted rate, there are plenty of logs available to support an expansion of the industry. …So which is it? Are we exporting jobs or have the local sawmills closed for other reasons? Is there hope that new sawmills could open? …Join us as Charlie Cornfield, forestry tech, councillor and past mayor of Campbell River helps us try to understand this knotty problem. Provincial policies are being blamed for job loss in rural communities. There is a concern that not linking timber harvesting to processing lumber has led to mill closures in the Interior. “I would like to see resources process where they are harvested,” said Hank Cameron, Cherryville director, at a Regional District of North Okanagan meeting Wednesday. The sustained harvest yield for communities was scrapped a number of years ago. “Since they took that away, the wood is spread across the country and we lost jobs,” said Cameron. As an example, Cameron says trees cut down in Cherryville were processed in the Kootenays. “None of our local people got any benefit,” he said. RCMP officers took the stand as the second day of the Western Forest Products mill shooting trial began Thursday in Nanaimo Supreme Court. Kevin Douglas Addison, 49, stands accused of two counts of first-degree murder and two counts of attempted murder in relation to the shooting at the former waterfront mill in Nanaimo. Fred McEachern and Michael Lunn were killed in the shooting, while Earl Kelly and Tony Sudar were injured. Const. David Buchanan, one of the officers who arrested Addison on April 30, 2014, was second to take the stand Thursday. 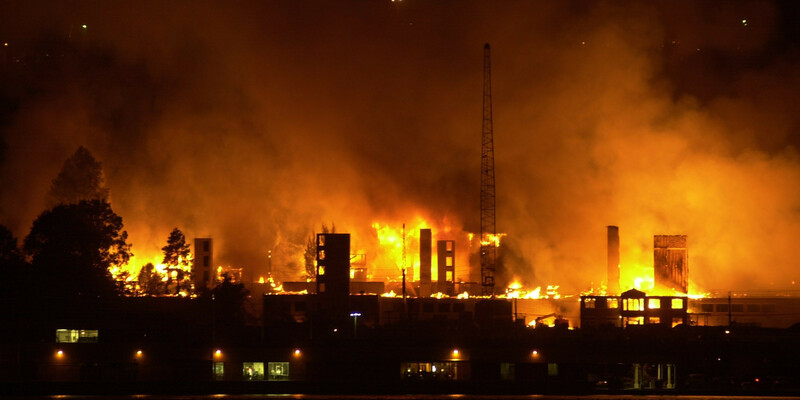 EDGEWATER, N.J.— The owners want to rebuild at the site of a fire that destroyed 240 units in an Edgewater, New Jersey apartment complex, but city leaders say it is too dangerous. As CBS2’s Lou Young reported, the January 2015 fire lit up the sky at the 408-unit Avalon at Edgewater complex near the Hudson River. A total of 500 people were left homeless. City leaders think it could happen all over again if the owners rebuild. They say the only thing that can stop the construction is a change in the law. The sign says Avalon, but people in the area remember it as “the fire.” The complex burned in a spectacular fashion – and also in a similar fashion as it did 15 years earlier during construction. …Last week, Resolute suffered an apparent setback when its attempt to bring into evidence Greenpeace’s persistent pattern of illegality worldwide was rejected by an Ontario Superior Court. At times it appeared as if Justice D.L. Corbett, who wrote the decision, was trying to bail Greenpeace out of its own defence. He asserted that the case wasn’t about Greenpeace as a global activist organization, even though Greenpeace itself had claimed that it was. He suggested that to investigate Greenpeace’s global reach would be like dragging in the entire forest industry. But forestry companies are entirely different and separate organizations, Greenpeace is not. Comments are being accepted until Nov. 7, 2016, on two discussion papers released today as part of comprehensive timber supply reviews for the Cranbrook and Invermere timber supply areas. Public feedback on the discussion papers will be considered by the chief forester before setting new allowable annual cut levels for the two timber supply areas. The discussion papers provide the results of the timber supply analysis, including base-case harvest forecasts. They also describe the geography, natural resources and current forest management practices in the Cranbrook and Invermere Timber Supply Areas. A lawyer for Elphinstone Logging Focus (ELF) was expected to appear in a Vancouver courtroom on Sept. 8 to argue for the lifting of an injunction against the group’s blockade on the slopes of Mount Elphinstone. …According to ELF, the company agreed not to ask RCMP to enforce the interim injunction until the Sept. 8 hearing wraps up. The agreement followed back-to-back RCMP visits to the camp with company officials on Aug. 31 and Sept. 1. Sunshine Coast RCMP are also investigating an incident that happened after the second visit. ELF alleges that on the afternoon of Sept. 1, two people in a white pickup truck drove up to the area, started taking material from the protest camp, and then sped off with one of the campers – who’d climbed in to try to recover the items – still in the back. VICTORIA – An investigation of logging impacts on a prominent viewscape in Port Alberni has found that the viewscape was not adequately protected, and that government enforcement was inadequate, according to a report released today. “The board decided to look into the visual impacts of logging on a scenic viewscape in Port Alberni after board staff viewed the site and had concerns,” said Forest Practices Board chair Tim Ryan. “This is the third board report in 18 months to find failures to meet visual-quality objectives and failures to enforce the legal requirements.” “Important scenic areas and viewscapes are given special designation by government and logging must meet the assigned objectives for maintaining visual quality,” Ryan added. We all want wood and paper: every one of us. 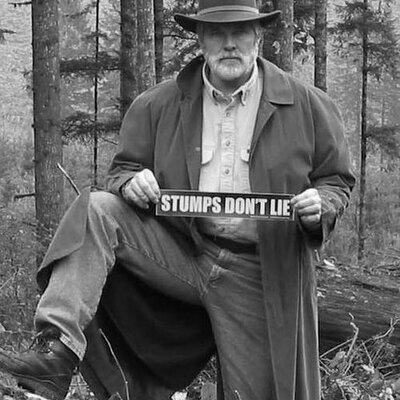 Rick O’Neill (“Value of the forest,” Letters, Sept. 2) expresses dislike for what he calls “tree farms,” the term lifted from a legal definition of authorized, temporary, and conditional logging and silviculture access to a given tract of land. He should be advocating for more tree farms; that’s where well-bred, healthy, tended, even-aged trees grow, to everyone’s benefit. Yet the nearest tree farm licence is over 80 km away.Community forests are not the answer. Community forests were a diversionary strategy cooked up by the provincial government, with the intent of co-opting potential protesters into spending their energy wrestling with local governments rather than hampering Victoria’s plans. …Without large-scale and mechanized forestry and sawmilling, Rick O’Neill and I and 35 million Canadians could not afford the privilege of our furniture and fixtures and homes and newspapers and books. Natural Resources Minister Lloyd Hines’s commitment to ecosystem-based management is put in doubt by the decision to allow herbicide spraying of 26 square kilometres of woodland. Ask any forest ecologist: Monoculture forestry may make for more efficient harvesting, but is much more vulnerable to catastrophic disease and pest outbreaks. Managers then tend to use more environmentally questionable methods to address these issues and a vicious circle ensues. There are plenty of lessons from past mistakes of this sort. We dispute the sustainability of this sort of management and of industries which depend on such approaches. As the provincial government continues to face criticism for a recent update to its natural resources strategy and its decision to allow companies to spray herbicides, one long-time forester says there is an even bigger problem at hand: the lack of a real long-term plan. Forestry is an especially important sector for rural parts of the province, which is why Harold Alexander is so troubled by what he says is only a minor effort by the province to harness the potential of the resource. At the end of the month, Alexander, who has worked the woods in Digby County for more than 30 years, and four other people will travel to Finland. Millbrook Chief Bob Gloade says the provincial government has violated its agreement with Nova Scotia’s First Nations by failing to consult over the spraying of glyphosate. In a letter to Premier Stephen McNeil and Environment Minister Margaret Miller released Thursday, Gloade said news of the government’s decision to allow Northern Pulp and three other companies to spray the herbicide VisionMaxx on more than 2,600 hectares of private land in Halifax, Colchester, Cumberland, Hants and Pictou counties came as a surprise. “We are deeply disappointed to learn of this development through the media,” the letter reads. “The fact that this spraying may be permitted on privately held woodland does not negate our right to be consulted. The Earth has lost more than two million square miles of wilderness land since 1990. Such areas are often overlooked in existing conservation rules, a new study notes. It is easy to call to mind endangered animal species: panda bears, loggerhead turtles, and Asian elephants make cute and cuddly headlines. Yet it is far too easy to forget about the overall biodiversity of world habitats, an environmental factor that is equally important. The world has lost a tenth of its wilderness areas since 1990, a massive amount for a span of less than three decades, according to a new study published Thursday in the journal Current Biology. “Wilderness” is defined as “biologically and ecologically largely intact landscapes that are mostly free of human disturbance.” But they’re hardly immune. 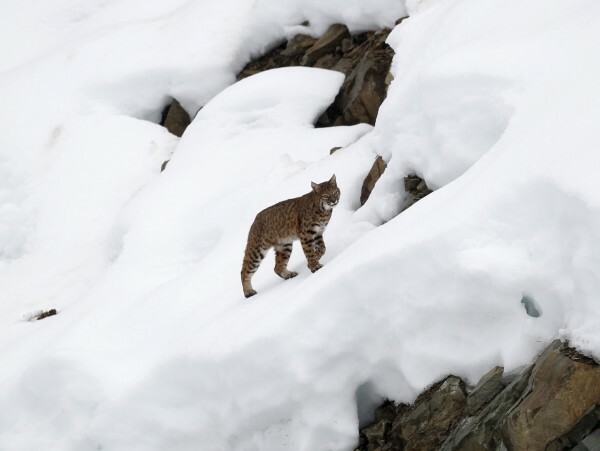 SALMON, Idaho — A federal judge ordered U.S. wildlife managers on Wednesday to enlarge habitat protections in Idaho, Montana and Colorado for the Canada lynx, a rare wild cat that roams the Rockies and mountain forests of several other states. Chief U.S. District Judge Dana Christensen in Missoula, Montana, ruled that the U.S. Fish and Wildlife Service erred in 2014 when it revised its critical habitat designations for the lynx with little or no expansion beyond the original plan issued five years earlier….The Fish and Wildlife Service in 2009 set aside about 39,000 square miles where logging, mining, snowmobiling and other activities that could disturb the lynx would be restricted or banned in parts of six states. Douglas County Commissioner Chris Boice writes about his fear of fires in wilderness areas, claiming that these forests should be thinned in order to prevent calamitous fires within and without the Crater Lake National Park. The agencies that manage wilderness areas do, in fact, use mechanical tools to fight fires, particularly when they threaten human habitation and infrastructure or lands not situated within wilderness areas. Forest fires produce less carbon emissions than logging because of the scarring brought about by logging. Logging in areas where fires have burned reduces the healing process, and, owing to soil disturbances, releases additional carbon into the atmosphere. Spread over thousands of acres, the carbon release adds up. Sen. Dianne Feinstein is asking the U.S. Department of Agriculture to pay to quickly remove trees that have died because of California’s drought. Feinstein asked Agriculture Secretary Tom Vilsack to shift $38 million in the Department’s budget to pay for removing trees from federal land identified by the California Governor’s Tree Mortality Task Force. The projects include “high hazard” zones in the Stanislaus, Sierra and Sequoia national forests and have already received all necessary environmental clearances. “After five years of historic drought, which has led to the death of an estimated 66 million trees in California alone, my state and its people face a heightened and potentially catastrophic risk of wildfire this year and for years to come,” she said in a letter to Vilsack. Recent commentaries on public forest management in The Register-Guard by timber industry lobbyists say our forests should be managed with “science.” Their “science” comes from colleges of forestry influenced by timber corporations’ donations to see forests primarily as money, emphasizing clearcut logging and replanting, riparian logging, salvage logging, wildlife logging, fire prevention logging, forest health logging, restoration logging and — the latest forest science scam — logging for water. According to the industry and its “scientific” institutes, whatever’s missing, wrong or weak in our forests can be made whole, fixed or strengthened with more logging. This isn’t science; it’s dull-witted propaganda. ALBANY — A judge signaled he plans to certify Linn County’s timber lawsuit against the state as a class action, meaning it would include other counties. The county filed the lawsuit earlier this year, asserting insufficient logging had cost it and more than a dozen other timber-rich counties more than $1.4 billion. The complaint says the counties turned over ownership of forestlands to the state in the early 20th century with the expectation that timber revenues would be maximized. 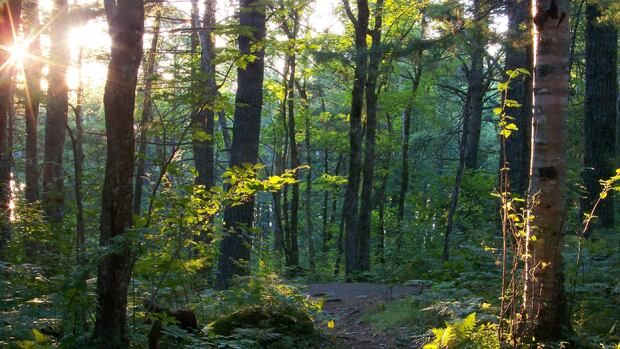 But a forest management plan adopted more than a decade ago emphasized improvements to fish and wildlife habitat and other conservation measures. Linn County Judge Daniel Murphy said in an opinion Tuesday — without “reciting in detail the court’s reasoning” — that he believes the lawsuit meets the requirements for a class action. The state of California, wracked by drought, has 66 million dead trees across its landscape. They’ve been killed by both the drought itself and by voracious bark beetles, and now they’re just sitting there — destined to either decompose, burn in a wildfire, or be incinerated, for safety reasons, by state fire managers before the next blaze comes along. And it isn’t just California. Raging bark beetle infestations, fanned by warmer temperatures and droughts, have also struck forests in Colorado, Wyoming, Montana, and Idaho in recent years. ..Belmont is studying an intriguing solution for what to do with all these dangerous dead trees — namely, burn them for energy. In a recent study in Energy Policy, Belmont and colleague Emily Beagle do the math on whether it would make sense to use the timber in existing coal plants, which can be “co-fired” with wood.